Trials postponed, is India in doubt for boxing World C'ship? Amid opposition by Tamil parties to Prime Minister's participation in CHOGM in Sri Lanka, Government today said no decision has yet been taken on level of India's participation in the summit scheduled in November. "In March, the Government received a letter each from the Chief Minister of Tamil Nadu and the Chief Minister of Puducherry, urging the Prime Minister not to attend the CHOGM (Commonwealth Heads of Government Meeting (CHOGM) in Colombo. "The Government has not yet taken a decision on the level of its participation at the 2013 CHOGM," Minister of External Affairs Salman Khurshid said in Rajya Sabha during Question Hour. Replying to supplementaries, Minister of State for Minister of State for External Affairs Preneet Kaur said "well thought decision will be taken" in this regard. She further said the decision to hold the CHOGM at Colombo was taken in 2009. On issues related to human rights violations in Sri Lanka, she the government has been engaged with that country and it has also been raised at United Nation Human Rights Council. 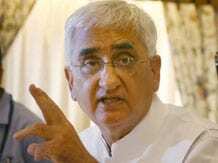 To another supplementary, Khurshid said India is fully committed to the 13th Amendment of Sri Lanka's Constitution. The amendment relates to devolution of powers to ethnic communities, like Tamils. Khurshid asked members to wait for the calling attention on the situation arising out of repeated attacks on Indian fisherman by Sri Lankan navy. Minister of Overseas Indian Affairs Vayalar Ravi informed the House that the Pravasi Bharati Divas 2014 will be held in Delhi.